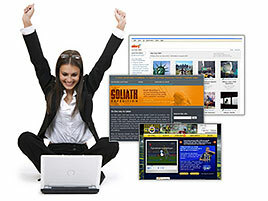 Search for available Domain Names - Start Here: WWW. Whether you are a large business or a business owner needing a domain name registered, hosting space or a website designed, we can provide a solution to suit your needs. We understand the importance of keeping your business online 24 hours a day,365 days of the year, so our servers are monitored 24/7 and are hosted in a state of the art data centre in Auckland. Our web hosting plans are tailored for everyone, from personal websites to large E-commerce websites. Should you need technical assistance, our dedicated team of professionals are on hand to give you unlimited technical support. In fact we offer a FULL 30 Day back money guarantee if you're not happy for any reason. Why Choose NZ Web Hosting ?